This toolkit is intended to provide easy to access information and resources to help Pajaro Basin rural residents conserve water in their homes and landscapes. It draws on the efforts of many experts and resource providers to provide useful information to help residents fine tune the ways they use water- for personal care, cooking and cleaning and in their landscapes. We are fortunate to live in a region where much good work to support water conservation has already been done. This Toolkit links to other local and regional programs whenever appropriate, as well as the good work done in other places. PV Water provides the contacts and information contained within this toolkit as an information service only. The agency accepts no responsibility for the performance of the private consultants/contractors listed and makes no representation, either expressed or implied, regarding their competence or expertise. We use water for many things in our daily lives, and the amount we use depends both on things we can control– like the types of appliances we use, and how and when we use water­– and things we can’t, like seasonal temperatures and rainfall. Because California needs more water than it can store from rainfall, pump from the ground or import from other places, we live in a perpetual state of drought. The last several years of record low rainfall have been worse than usual, but it’s now a given that water demand in the state will outstrip water availability. California’s water shortage has led the State of California to set a goal to reduce per capita water use by 20% by 2020. Events like the current drought require immediate and more drastic water use reductions to be sure everyone has enough water to keep their homes, farms and businesses running. Coastal California as a whole uses less water than the inland parts of the state, with the Bay Area and the Central Coast leading the state in thrifty water use. At 99 gallons per person per day, we tie with San Francisco for the lowest per-capita water usage in the State. This is something to be proud of, but unfortunately, part of the reason residents of the Central Coast are more frugal with their water usage is because we have to be- we have a very limited water supply. In the Pajaro Valley Basin, the only water available for use originates in local creeks, is pumped from our ground water aquifers or comes from rain harvesting or water recycling projects. If our use exceeds those sources, we run short. 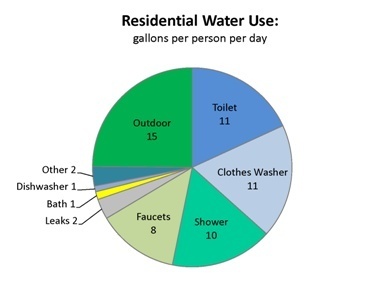 Each of the categories in the usage chart represents places where we can save precious water. This toolkit will link you to practical tools and tips to help. The first step in conserving water is to figure out the various ways your household uses water. Once you have that information, you can begin to figure out ways you can save water (and save money in the process). 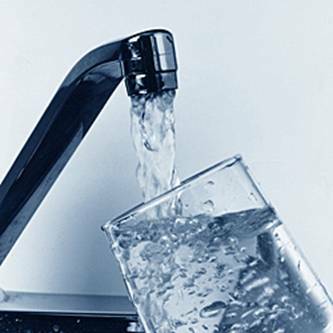 This household audit at wateruseitwisely.com is easy to use. Click on the link above, fill out the form on line, and then follow the website’s directions to start saving water in your home. If you prefer to do this with paper and pen, you can download a good basic audit form, also at wateruseitwisely.com. Next, you can visit h2ouse.org to take their virtual household tour and do a room by room assessment of the ways you use water now, and how that usage could be reduced if you change some of your appliances or fixtures, or alter the way you brush your teeth, wash your face, do dishes or wash clothes. This site provides a huge amount of information about water conservation in an easy to navigate format. Finally, you can use a water use calculator (this one is from Sonoma-Marin Water Saving Partnership) to get an idea of what kind of water savings you can achieve if you implement some water-saving changes in your home. Water conservation can and should be part of every activity that requires water inside and outside your home. Adapting to the reality of the limited water supply of our area to use water in a new and more conservation-minded way is the best hope for us to maintain our quality of living. Though some of the conservation practices in this toolkit represent changes from the ways things have been done in the past, they all can become the new standard way of doing things, helping to ensure we’ll have enough water for all our needs. Once you’ve completed your home water use audit, you’ll be able to see which areas of water usage can be improved. A recent study in Seattle measured water use in single-family homes before and after installation of high efficiency toilets (DeOreo, et. al. 2001). The study found that when a family of four replaces all of their toilets with new high efficiency models, one family would save more than 14,000 gallons of water per year by installing 1.6 gpf (gallons per flush) toilets and more than 17,000 gallons of water per year by installing dual flush toilets. Toilets and showers account for a combined 43.5% of the annual total water consumption per household, and are areas with a lot of potential for conservation. We use two basic kinds of water fixtures in our homes: showerheads and faucets. Both can have a significant impact on the amount of water we use. Water efficient faucets can help you save water every time you turn on the tap. By machine or by hand? Dishwashers are very convenient and hygienic. They’re also pretty good for water conservation, if used carefully. The Energy Star program provides an overview, specifications and buying guidance for choosing dishwashers at energystar.gov. According to PG&E, the average American family washes about 300 loads of laundry each year, making the washing machine an important household appliance. Switching from a top-loading machine to a high-efficiency front-loading machine can save the average family up to 8,000 gallons of water per year. 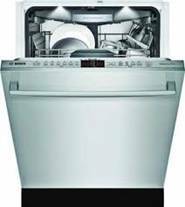 How much water can you save with a high-efficiency washer? Plus, information about purchase, use and maintenance. 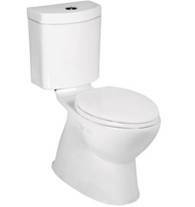 Toilets represent one of the largest sources of water use for the average family: more than 27% of household water use. The difference in the amount of water used between an older toilet and a new ultra low flush model can be nearly 10,000 gallons per person each year. According to the WaterSense website, the average household's leaks can account for more than 10,000 gallons of water wasted every year, or the amount of water needed to wash 270 loads of laundry. Our landscapes are the first thing we see when we approach our homes. They provide a welcoming face and setting for our houses, a place to entertain, to relax and to garden for pleasure and to grow food. Landscapes are also a major source of water use in most homes, using about 53% of the average household’s total water, according to a 2011 study by the Department of Water Resources. That’s a lot of water, but the good news is that there are many opportunities to conserve water in our landscapes. The amount of water your landscape uses is determined by several things: the size of your property and the number and type of plants that surround your home. Water usage is also dependent on the way you water or irrigate those plants, the type of soil you have and the climate you live in. In most cases, you can make changes in each of these areas to reduce the amount of water needed, while still maintaining an attractive and usable space. If the current drought has made you think that now is a good time to rethink and redesign your landscape into something that uses less water and is easier to maintain, you may find this form to calculate your current landscape water usage a useful tool. 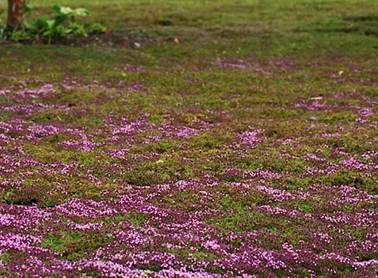 Here are some facts and ideas about the typical plant types used in the average landscape, as well as conservation information about other outside water uses. Lush green lawns seem to be part of the ideal home image. 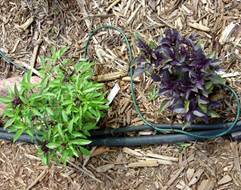 In reality, they take a lot of work, including weed maintenance and fertilization and a LOT of water. Lawns are often the biggest part of the landscape, and, because of the density of plants, usually use more water per foot than any other type of planting. 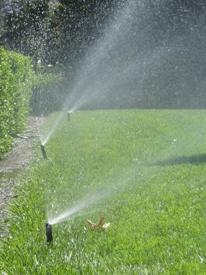 If you love your lawn, you can still conserve water. 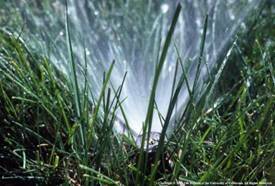 Many of us water our lawns too much, which isn’t healthy for the lawn and wastes water. This can be a pretty easy fix. If you’ve decided your lawn uses more water and takes more work than it’s worth, there are options that still leave you with a beautiful yard. Replace your lawn with native grass- this option gives you a lovely, low maintenance meadow that can serve many of the functions of a lawn with less than a third of the water. If you want the look of a traditional lawn, but don’t want to spend the time, water, or money to maintain it, there’s the option of going with artificial lawn. 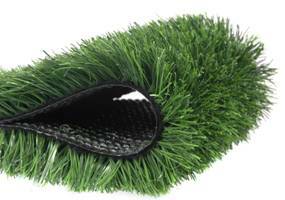 Today’s artificial turf options are a far cry from the plastic astro turf of the past. Artificial lawns are virtually indistinguishable from real lawns and they never need mowing, or watering, or fertilizing or weeding. If you can live without a lawn, maybe it’s time to change the space into a drought tolerant garden. You can still enjoy outdoor dining, entertaining, and family gatherings while using much less water. 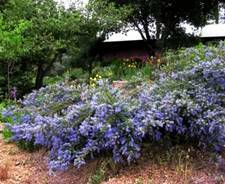 Drought tolerant gardening is also called xeriscaping, which means landscaping and gardening to reduce or eliminate the need for supplemental water from irrigation. If you’re building a new home, or are ready to convert your existing landscape to one that uses less water, h2ouse.org’s Smart from the Start program provides a wealth of information and regionally specific templates you can download and use. 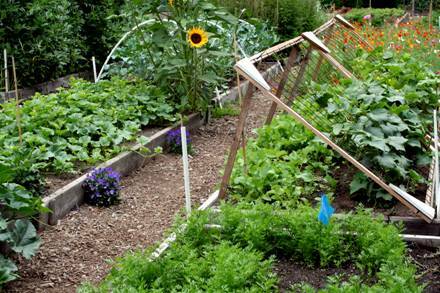 Conserving water when you grow some or all of your own vegetables is mostly a matter of technique and crop choice. 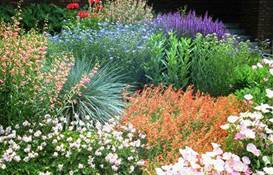 You’ll be able to save water by adjusting irrigation and mulching, and you’ll want to choose plant varieties that are drought tolerant or drought resistant. Overwatering lawns and landscapes not only wastes water, it can cause plant diseases like root rot, require that you mow your lawn and prune plants more frequently, and creates an excess of “green waste” from the extra mowing and pruning. Taking the time to assess and tune-up or overhaul your irrigation system will make your landscape healthier, save water and reduce green waste from your property. While none of us can create the water we need for our households, we can make some relatively simple adaptations to our homes to make the water we use go farther, or to harvest rain water during the rainy season to irrigate our landscapes when it’s dry. 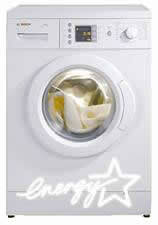 Graywater is the name given to the water that drains from laundry machines, bathroom sinks, showers and bathtubs. When this water is diverted from the sewer or septic system to be used for landscape irrigation, it can provide significant water conservation and relieve stress on septic systems. Graywater systems are a safe and effective method of at-home water recycling when done appropriately. There are two kinds of residential graywater systems. A “Laundry to Landscape” Clothes Washer System captures graywater only from your washing machine, and does not require a permit. This type of system provides less recycled water for your landscape, but it is a less involved system to plan and construct. A Simple Graywater irrigation system is designed to collect less than 250 gallons of graywater per day from multiple sources in your home. A Simple Graywater System requires a Building Permit and may include surge tanks, valves, filters, pumps or other equipment. 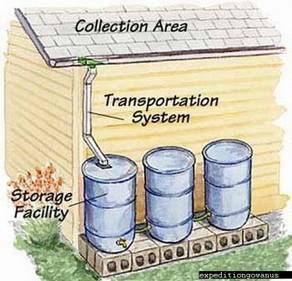 Rain harvesting is collecting rain from roofs and other surfaces to store for later use for landscape irrigation. The harvested water is non-potable, but can be used to irrigate your garden throughout the dry summer and reduce the water used from the tap. Area of roof in square feet × 0.625 gallons of water = gallons caught per inch of rain. Using this calculation, a 1,000 square foot roof would drain 625 gallons for an inch of rain. The City of Watsonville averages about 22.41” of rain per year (less in 2013), which means a harvesting system draining a 1000 square foot roof could potentially collect ≈14,006 gallons in an average rainfall year, if it had the capacity to store that much water. Watsonville Public Works and Utilities Water Conservation works to give Watsonville residents the knowledge, tools, programs and resources necessary to save water. 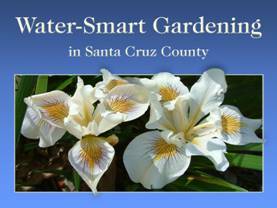 Santa Cruz County Water Conservation Program works collaboratively with County water agencies to support water conservation by all County residents. Central Coast Greywater Alliance is a program initiative of Ecology Action to encourage adoption of code-compliant greywater systems into mainstream water conservation practices in Central Coast communities through information exchange and public education initiatives. Water Conservation Coalition of Santa Cruz is a coalition of the water agencies in Santa Cruz County working to support and promote water conservation. CA Urban Water Conservation Council was created to increase efficient water use statewide through partnerships among urban water agencies, public interest organizations, and private entities. UC Cooperative Extension- CA institute for Water Resources integrates the work of California's research, extension, and education programs to develop research-based solutions to water resource challenges. CA Department of Water Resources - (DWR) is responsible for managing and protecting California’s water. DWR works with other agencies to benefit the state’s people, and to protect, restore and enhance the natural and human environments. US Environmental Protection Agency - Water Sense Partnership- is a program to protect the future of our nation's water supply by offering people a simple way to use less water with water-efficient products, new homes, and services. We will be adding videos as we find them. If you know of a good one to help with home water conservation, let us know and we’ll link to it.